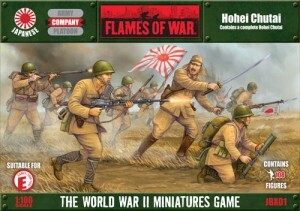 Battlefront features another of the Japanese units for Flames of War with a look at the Hohei Chutai. The Japanese riflemen has had a focused training regime that emphasises the spiritual aspects of fighting, such as certainty in victory, loyalty, and patriotic duty. The spirit of the offensive is instilled in every soldier, and tactical training concentrates on infantry combat and hand-to-hand fighting. Hold the line with the Axis Fortification pack!